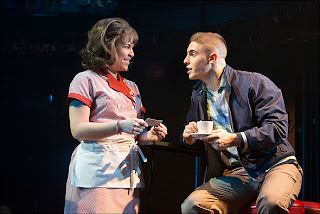 So far this season, you voted and selected which cast members from Bring It On: The Musical and Dogfight will compete at the end of the season. To see who you selected, click on the HOT/HOTTER tab at the top of the blog! This week, you'll vote on the cast of Chaplin. 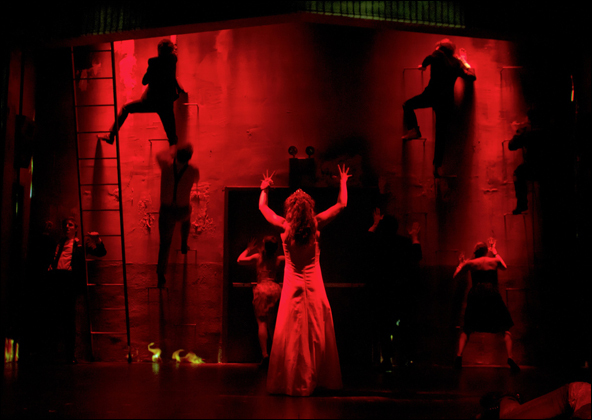 It will be the first of two weeks of voting for this production. This week, you'll be selecting who will compete at the end of the season in these categories: Swing (1 male and 1 female possible), Male Ensemble (2 finalists), and Female Ensemble (2 finalists). Below are three separate surveys, one for each category. You may vote for as many or as few cast members in each category - pick them all if you think it fits, vote for a few or don't vote for anyone in any given category. In the end, those with the most "hot" votes will go on. 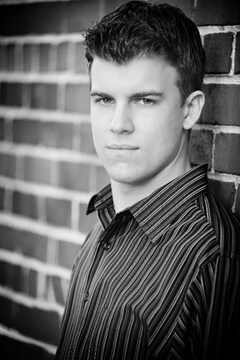 To keep it fair, I'll include a headshot for each, and some production photos to show them in action. Finding more on each person is up to you! THIS POLL WILL CLOSE AT 8PM EST ON THURSDAY, SEPTEMBER 6 ! BE SURE TO SCROLL DOWN THE PAGE TO SEE ALL THREE SEPARATE POLLS AND SCROLL THROUGH EACH POLL TO CLICK "SUBMIT." (Since there is only one male candidate and one female candidate, in order for them to compete later in the season, they must each earn more "HOT" than "NOT" votes. So it is still important for you to consider each when you vote!) Select as many or as few as "HOT" that you'd like. Use the side scroll bar to see both choices. Be sure to click "Submit" at the bottom of the poll. The 2 guys with the most "HOT" votes will be finalists. Select as many or as few as "HOT" that you'd like. Use the side scroll bar to see all the choices. Be sure to click "Submit" at the bottom of the poll. The 2 gals with the most "HOT" votes will be finalists. Select as many or as few as "HOT" that you'd like. Use the side scroll bar to see all the choices. Be sure to click "Submit" at the bottom of the poll. Three years ago today, I Googled "blog template," came across this really easy and very flexible blogging program. 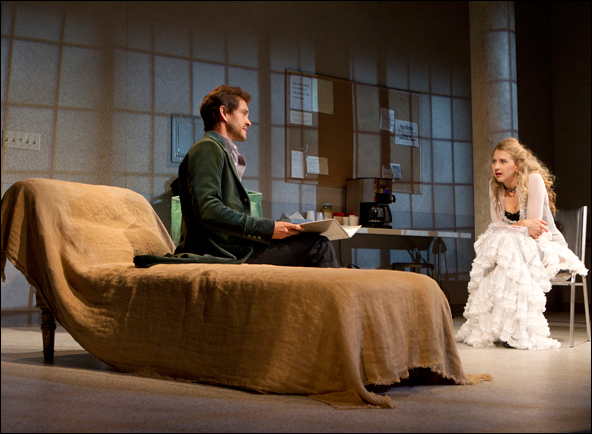 I wanted to see if I could bring together my two loves: writing and theatre. And then I wondered if what I had to say would mean anything to anyone besides me! 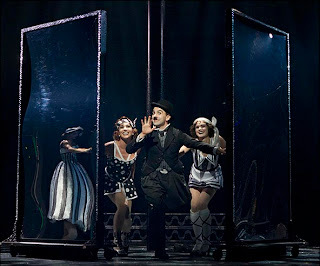 Well, 1,102 blogs later, I'm still here (intentional Follies reference)! And I am so grateful that others find what I have to say interesting enough to make this all worthwhile. So, before I go any further, I want to thank all of you for coming back day after day, and for all of your input and support. Over the coming year, I am looking forward to sharing..
...more media reviews - theatre books, CDs, and DVDs. Thanks to my friends at Broadway Records, it was cool to bring you reviews of the cast recordings of Bonnie and Clyde, Lysistrata Jones and the Nick Jonas EP of How to Succeed..., and Applause Books brought you the Spring Awakening lyrics study. ...more interviews - thanks to Claybourne Elder, Lindsay Nicole Chambers, Josh Segarra, Derek Klena for in-depth interviews, and my two buddies Alex Wyse and Teddy Toye, who are kind enough to check in regularly from their journeys to Broadway stardom. Coming up very soon, I've got an interview with star of Godspell and Broadway-bound Allegiance star Telly Leung, more with Teddy and Alex, and I'm working on interviews with a current Broadway fan favorite and a Tony-winning Broadway legend (I can't tell you who yet)! 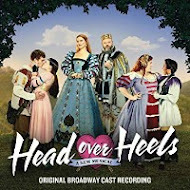 ...more interactive stuff - monthly theatre polls, "HOT/HOTTER" contests for each new musical this season, games and puzzles, and the 3rd annual JKTS Awards! 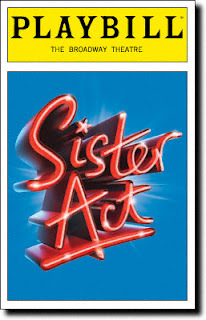 ...more contests - tickets to some of Broadway's biggest plays and musicals, and maybe even some special show memorabilia (again, I can't tell you more yet)! Of course, this blog is ever-changing. So PLEASE keep writing, Tweeting and letting me know what you want to see (and what you don't) and I'll do my best to bring it to you! 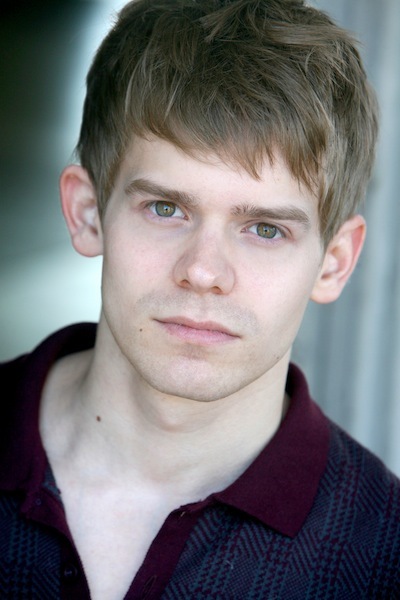 Lastly, I'd like to thank Andrew Keenan-Bolger, Ben Fankhauser, Max Von Essen, Curtis Holbrook, Kara Lindsay and Betty Buckley for your help and input with the Mr and Ms Broadway feature and support with ideas and pictures and other stuff that has made this blog even better than ever! Special thanks to the Fansies Alliance - every Broadway show should be so lucky to have such intense and loyal fans as Newsies does. And, finally extra-special thanks to Esther and Tyler, my two best Twitter buddies, and my best editor, theatre companion and friend, Mike. ...VOTED IN THIS WEEK'S HOT/HOTTER? CLICK HERE FOR THE DOGFIGHT EDITION! THE POLL CLOSES AT 8PM TONIGHT! ...VOTED IN THIS MONTH'S THEATRE POLL? SCROLL DOWN AS YOU READ TODAY'S BLOG! IT'LL BE ON YOUR LEFT! YOU'VE GOT TODAY AND TOMORROW! If you've read any of my logo blogs, you know that I gravitate toward color, iconography and lettering style. The right combination will catch my eye, make me pause to look more closely, and make me interested enough to look into the show further. A producer's dream, right? Ah, but a lackluster, dull or overly busy icon with ill-fitting font styles always makes me wonder, "If the producers settled for THAT, what else have they 'settled' for in the production?" Every once in awhile, a logo makes me do both - I'm interested enough to look closer, but oddly repulsed at the same time. Such is the case with the logo for Chaplin. This is the version that is closest to the "sepia effect." The other thing I can not stand about the logo as it stands today is the font style chosen for the title itself. It is not evocative of the Chaplin era, Chaplin films or even Chaplin himself. Instead, the designer has forced us to know that it is a musical being advertised by manipulating the letters into pseudo-musical notes. They aren't exactly musical notes, but what else could they be, right? I do like the lettering for the tagline, "The Big Musical About the Little Tramp" (they wisely seem to have moved away from the laughably lackluster "Look who's coming to Broadway!") and the subtitle, "The Musical." 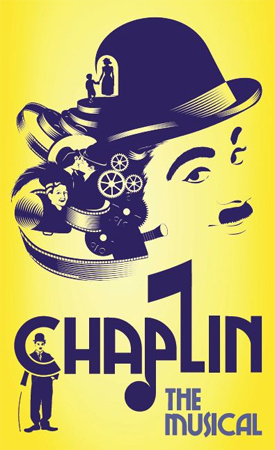 The lettering is reminiscent of the 20's, and the tagline is a (somewhat) clever way to remind us of Chaplin's most famous character. 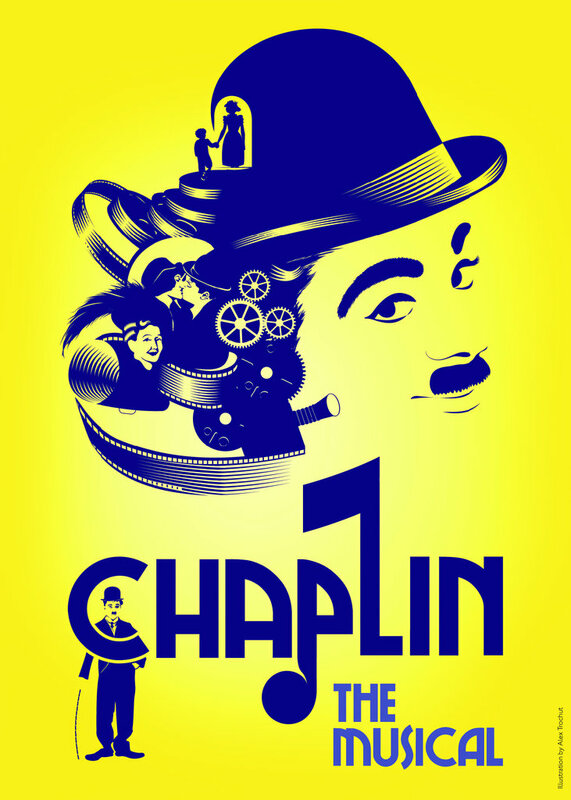 I also really like how they've gone from a cartoon-ish icon-style portrait of Charlie, and instead created an interesting visual that tells us what aspects of his life will be celebrated in the show, all of it springing from Chaplin's mind/bowler hat. 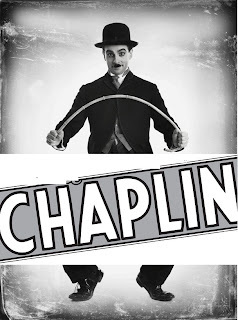 Weaving in and out of the image are things associated with the Chaplin we know: film star, motion picture icon, by integrating rolls of film and camera reels. Top to bottom, we see a boy and his mother - it looks like he's leaving her; a young Chaplin kissing a beautiful young woman; and a mini portrait of another Hollywood icon, gossip columnist, Hedda Hopper. 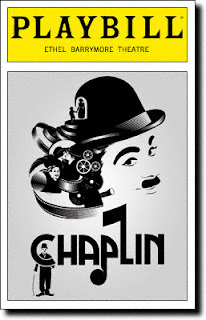 Now I haven't seen the show yet, but I can guess that the show will incorporate Chaplin as a boy, Chaplin as a lover and Chaplin as a star -including the glamour of success and the dangers of the gossip columnists, who could make or break you with the single stroke of their pens. Romance, glamour and intrigue sounds like a great combination to me! Maybe the show will run long enough that they can re-do that image with pictures from the show!? 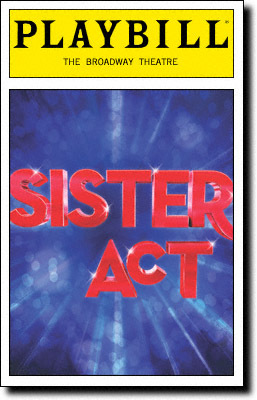 Normally, I don't like the black and white Playbill cover, but in this case, I think it not only fits the show, but it improves the logo immensely. ...VOTED IN THIS WEEK'S HOT/HOTTER? 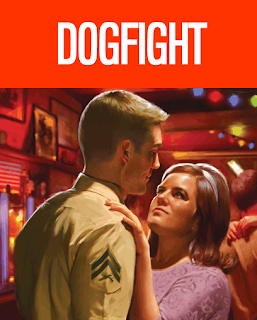 CLICK HERE FOR THE DOGFIGHT EDITION! ...VOTED IN THIS MONTH'S THEATRE POLL? SCROLL DOWN AS YOU READ TODAY'S BLOG! IT'LL BE ON YOUR LEFT! Can you believe that we are already a whole quarter through the new season? It's already been pretty busy so far, too. 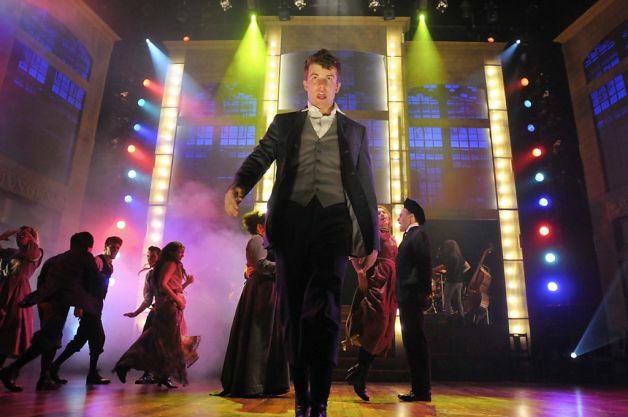 There have been 5 openings: a play revival, a one-man show, a musical revival and 2 new musicals. There have also been 17 closings, with several more in the coming few weeks. This next quarter should see several new shows opening. 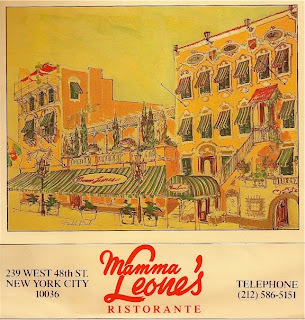 When my parents reflect upon trips to New York City the regale me with stories of trips to the old Yankee Stadium, the wooden escalators at Macy's and eating at the Automat. "Nothing like seeing the greatest Yankees to ever play the game play it there!" my father will gush. "Those steps were so worn and indented by the feet of passengers, you could tell just where to stand on that escalator!" Mom would laugh. 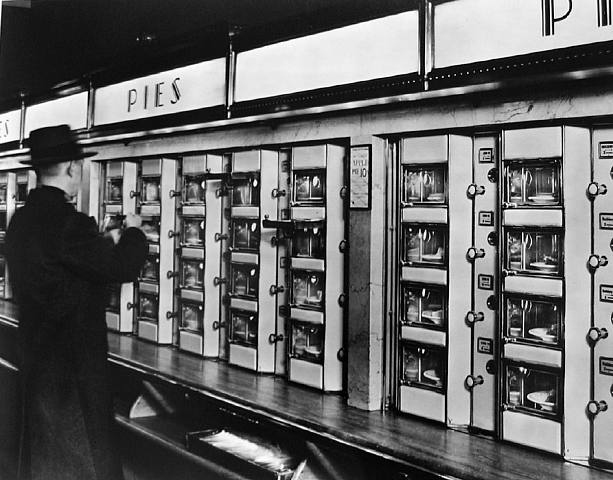 And, inevitably, they'd say in unison, "The Automat had the best mashed potatoes and apple pie! And only 10 cents each!" Then the smiles would fade slightly, and they's shake their heads slowly. 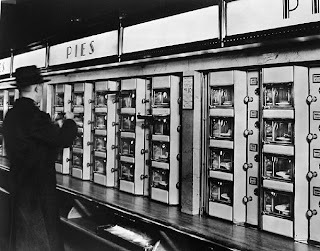 "New York City was never the same after they closed those Automats." For me, the nostalgia hits every time I walk down 48th Street, to this day. 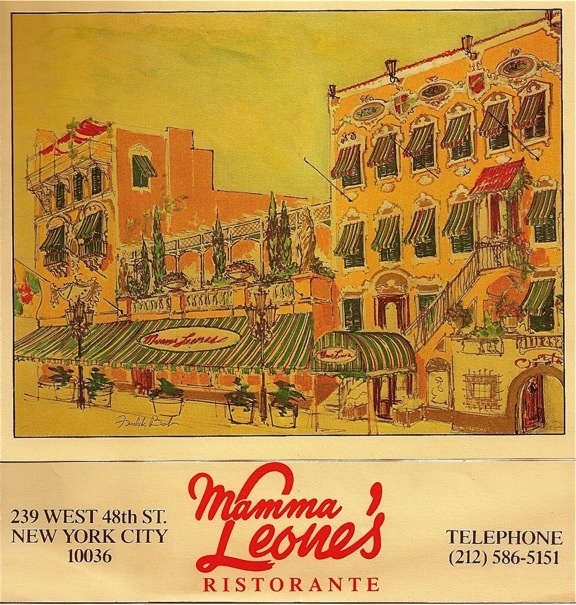 That's where the legendary Mamma Leone's Ristorante was before they closed the original location and attempted a remount at the Milford Plaza, adjacent to The Phantom of the Opera. I suppose real New Yorkers would scoff and say it was a tourist trap. I'd agree with them about the hotel location. I tried it just once. It was all I needed - it was a pale imitation at best. In theater parlance, I'd say it was a bus-and-truck revival compared to the original. Apparently, I was not alone in feeling that way. It closed and did not reopen in 1994. 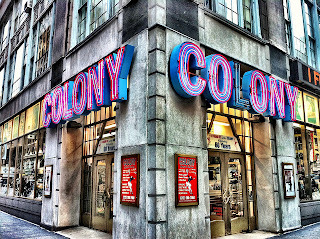 I suspect that the first time I walk past the Brill Building and see that Colony Records is no longer there, I will feel that same twinge of happy memories and sad nostalgia. It is just a staple of visiting Times Square. 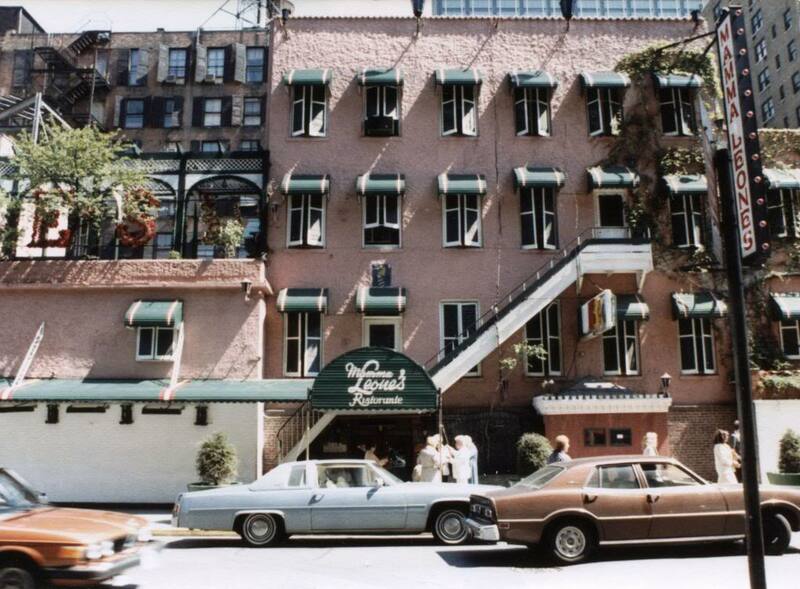 It is the place where I bought the Original Cast Recording of Anyone Can Whistle ON VINYL! God knows you couldn't get such a rarity at Sam Goody's or Waxy Maxie's at the local mall. 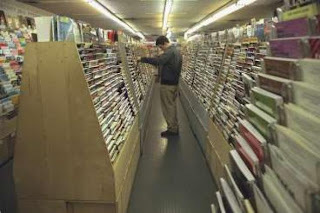 For years, I'd go in there and marvel at the selection of Broadway records, then cassettes, then CDs. 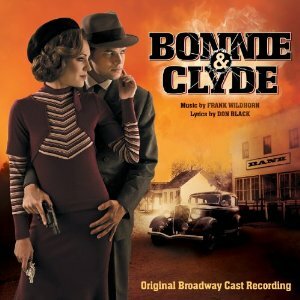 (I also bought Anyone Can Whistle on CD there, for the same reasons!) And I loved the smell of all that sheet music - musty, but newer than a public library smell. 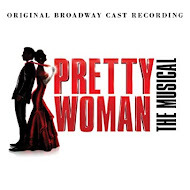 And I'd marvel at the the vocal scores - row after row - and even more at the individual songs, each with the Broadway logo and only the song title to help tell the difference. "Who would ever buy just one song?" I'd wonder naively, until the day I saw Karen Ziemba in the store mulling over the single songs and talking to her friend about an upcoming audition. We all know and understand the reason why Colony Records is closing. Everything they sell is easier to get and so much cheaper on the Internet. I know that is the reason why I pretty much stopped going in there, unless it was to warm up during a freezing day in the city. I haven't purchased a thing from the store in years. And despite understanding why, I can't help but feel a little guilty, I guess. But even more than that, I feel sad, and very nostalgic. Where I live, there is literally no store left to go buy a CD at - even Best Buy has less shelf space for such antiquities these days. I miss going to a record store and browsing through the bins, discovering new releases and remembering past shows with the regular stock. As gratifying as it is to get a package from Amazon.com and loving the price, nothing matches going to the store and picking it out for yourself. And I know that the CD's days are numbered, too. But for now, I need some time to get over another step in progress, and the end of an institution and tradition. 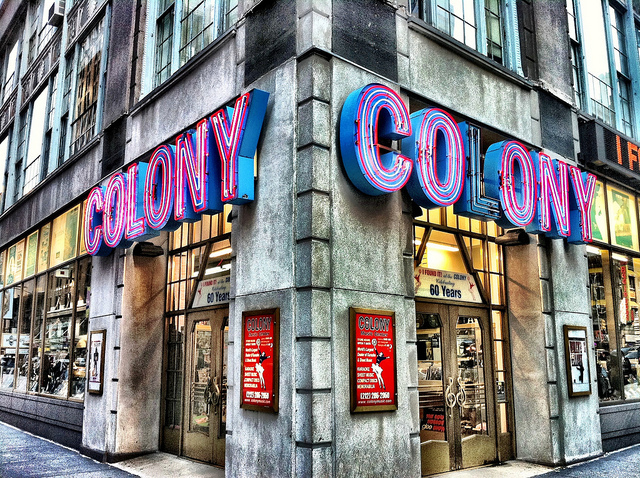 The day the reddish-pink and blue neon goes out on the corner of Broadway and West 49th Street for the last time, no one will ever be able to say, "I found it at Colony!" again. New York City will never be the same again. By the time this blog posts, there will be only one left. Just one. Two weeks ago, there were three. Now, it will be 147 days until there are two again. It sounds like one of those word problems from math class, doesn't it? 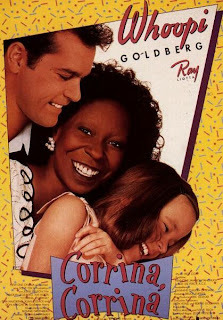 It's not that complicated when you realize I'm talking about Broadway musicals based on films featuring Whoopi Goldberg. As of the the time this blog posts, Sister Act will have closed, leaving only The Lion King playing. 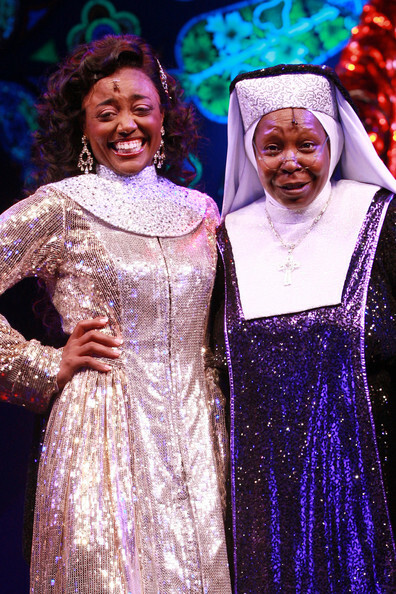 Two weeks ago, there were three Whoopi-inspired shows on the Rialto: The Lion King, Ghost: The Musical, and Sister Act. 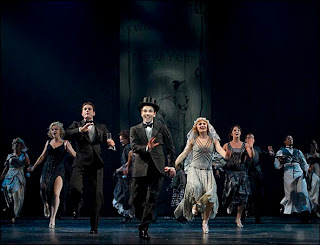 And in 147 days, on January 21, 2013, Rodgers and Hammerstein's Cinderella begins previews. 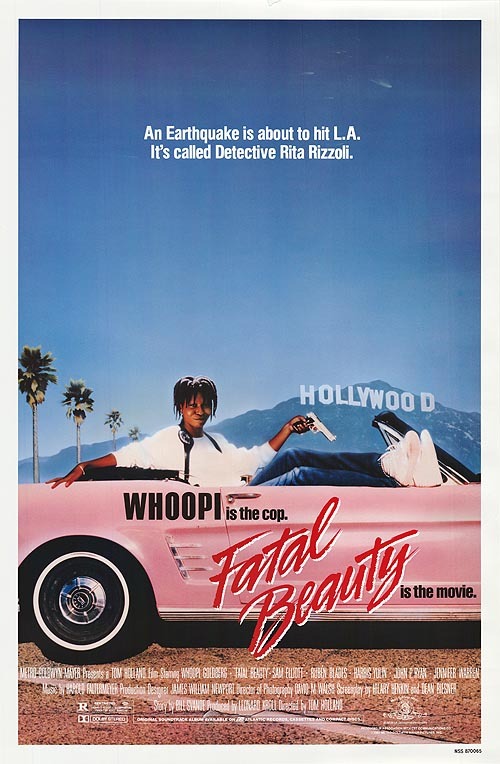 You may recall that she, along with Whitney Houston, Brandy, Bernadette Peters and Victor Garber starred in the most recent version of the classic tale. 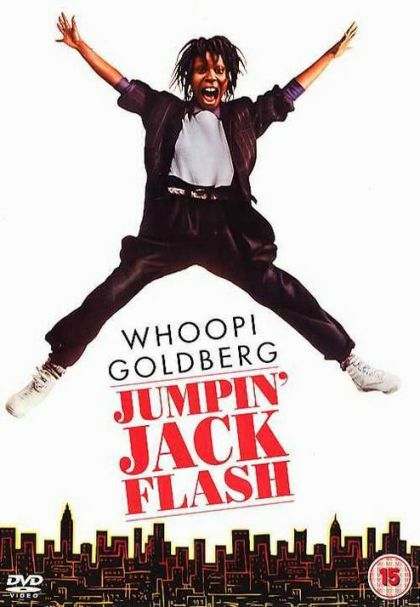 So what will be the next Whoopi-film to be a musical? I've got it narrowed down to 3 possibilities. 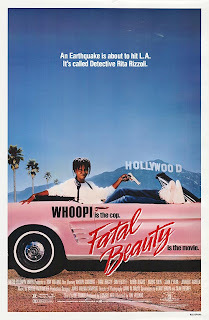 Whoopi and why it might work: She starred as Terri Doolittle, computer worker/bank data entry worker. She gets mixed up in some spy espionage stuff and falls for a guy via text messages. Romance, modern themes, and another chance to use video screens... a hit musical in the making. What I'd pay to see: Patina Miller being dragged around the stage in a phone booth while singing about it. Who should write it: The same team behind Bring It On. 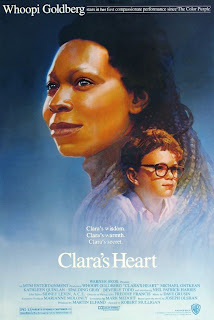 Whoopi and why it might work: She plays a maid in the 60's who helps a grieving widower and his daughter who has become mute from the shock. 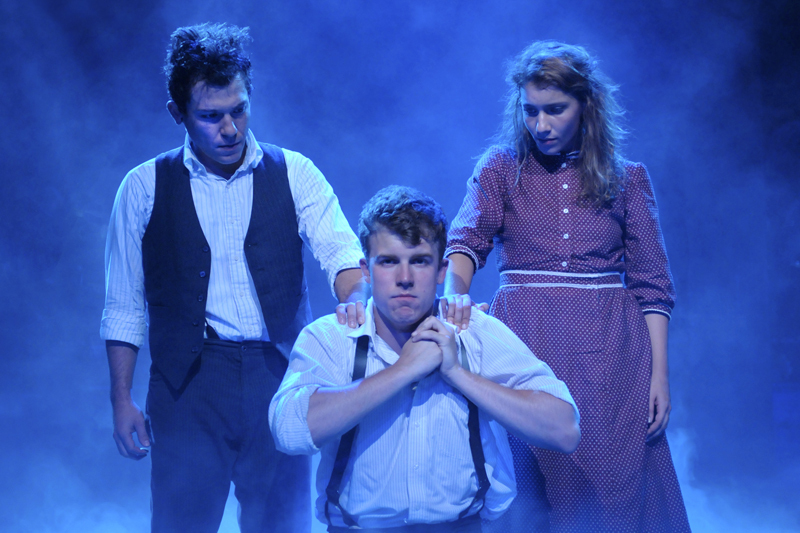 It's The Help meets The Miracle Worker meets Caroline, or Change. Emotional, powerful, and a definite tear-jerker ending. What I'd pay to see: Terri White consoling Will Chase and any young girl who has never played Little Cossette, Little Eponine or Annie. 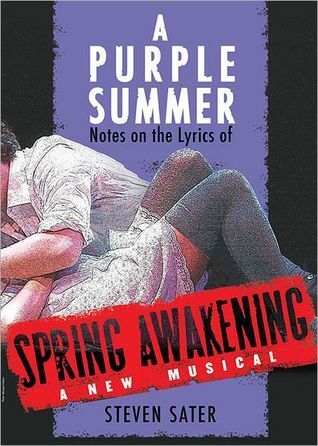 Who should write it: Scott Wittman and Marc Shaiman with a book by Brian Yorkey. Whoopi and why it might work: She played an island resort maid who saves a grieving mother, and ultimately a whole family - including an emotionally neglected little boy - from the depths of despair. 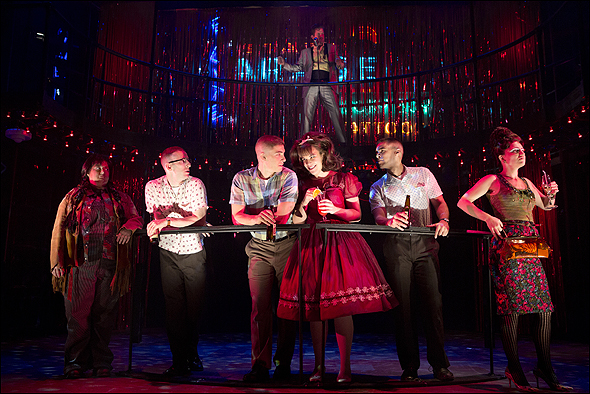 Think Once on This Island meets next to normal with a dash of Billy Elliot. 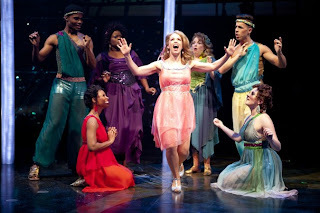 What I'd pay to see: Capathia Jenkins using island wisdom on Marin Mazzie while boosting the self-esteem of any little boy who made the cut for Billy Elliot but never went on because the show closed early. Plus, Neil Patrick Harris has to play the father, in a casting coups since he starred in the film version as the little boy. Who should write it: I'd love to see what Adam Guettel would do with it. It's like Corey Cott all over again. Sometimes you just see a performer and you know they have "it." 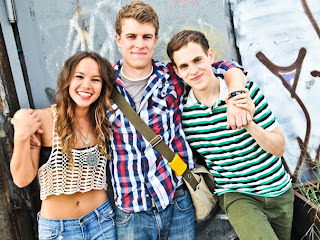 And so it was when I saw the first pictures of the new cast of Bare. Jason Hite, who will be playing Jason, pretty much jumped off the screen at me. Sure, he's very good-looking. But there isn't a person in the cast that isn't amazing to look at. No. It is something else. It's the chemistry - even in pictures - between him and his co-stars. Electricity between him and Elizabeth Judd. 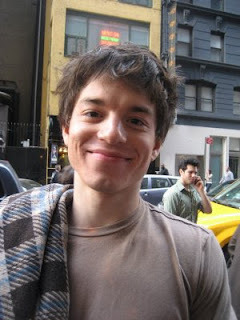 Shy passion between him and Taylor Trensch. But even more, the off-handed, casual, unconscious charisma when he just sits there. There are probably a million guys who wish they had what Jason Hite has. Here's hoping that he will be charming, entertaining and a star-in-the-making when he makes his Off-Broadway debut in Bare. Take a look at some of those Bare promo pictures, and some of his work in regional theatre - Girlfriend, at Berkley and Spring Awakening at San Jose Rep. Photos by Kevin Berene, Jenny Anderson and Jennifer Broski. Last week, dozens of you voted and selected those cast members from Bring It On: The Musical will compete at the end of the season in the Leading Ladies and Supporting categories. To see who you selected, click on the HOT/HOTTER tab at the top of the blog! 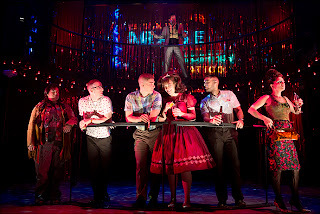 In addition to your votes, I got several emails asking why I wasn't including off-Broadway musicals, like Dogfight. 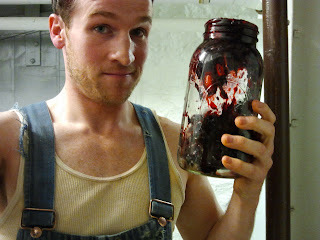 Then, after yesterday's cast announcement of bare, a few of you re-wrote insisting that we do off-Broadway shows, too. Well, I can't guarantee that we'll do every new off-Broadway musical, but we can do the major openings. 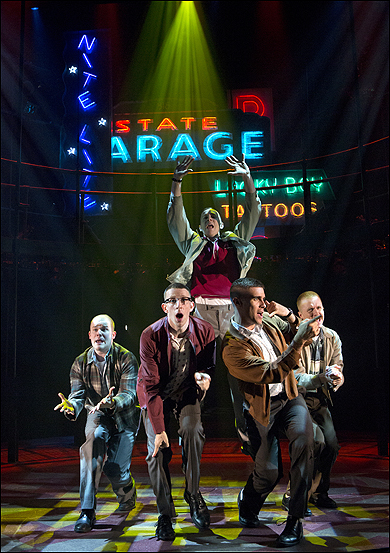 And so, you asked, and this week we'll do Dogfight. (We'll do bare later in the fall when the show gets started, OK?) Thanks for writing in... and keep sending me your ideas! This week, you'll be selecting who will compete at the end of the season in these categories: Leading Lady, Leading Man (1 finalist each), Supporting Male (1 finalist) and Supporting Female (1 finalist), and Ensemble (1 male and 1 female). Below are three separate surveys, one for each category. You may vote for as many or as few cast members in each category - pick them all if you think it fits, vote for a few or don't vote for anyone in any given category. In the end, those with the most "hot" votes will go on. THIS POLL WILL CLOSE AT 8PM EST ON THURSDAY, AUGUST 30! BE SURE TO SCROLL DOWN THE PAGE TO SEE ALL FOUR POLLS AND SCROLL THROUGH EACH POLL TO CLICK "SUBMIT." The guy with the most "HOT" votes will be a finalist. Select as many or as few as "HOT" that you'd like. Use the side scroll bar to see all the choices. Be sure to click "Submit" at the bottom of the poll. The lady with the most "HOT" votes will be a finalist. Select as many or as few as "HOT" that you'd like. Use the side scroll bar to see all the choices. Be sure to click "Submit" at the bottom of the poll. REMEMBER: THIS POLL CLOSES ON THURSDAY, AUGUST 30 AT 8PM! HAVE YOU...EMAILED ME WITH QUESTIONS FOR MY INTERVIEW WITH GODSPELL AND ALLEGIANCE'S TELLY LEUNG? SEND THEM TO ME AT jkstheatrescene@yahoo.com BY FRIDAY, AUGUST 24! HAVE YOU...VOTED IN ROUND 2 OF THE "HOT/HOTTER" BRING IT ON EDITION? YOU HAVE UNTIL THURSDAY, AUGUST 23RD AT 8 PM! CLICK THE SHOW LOGO TO YOUR LEFT! HAVE YOU...TAKEN THIS MONTH'S THEATRE POLL? SCROLL DOWN A LITTLE AND LOOK OVER TO YOUR LEFT! 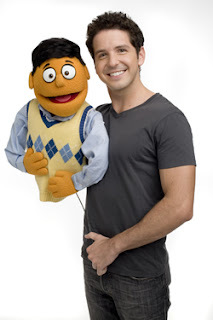 The other day, I was looking through some pictures on BroadwayWorld.com, and the Message Board list caught my eye. Tried as I might, I couldn't resist clicking on one of the topics: "Have you ever been at a show where someone had to leave mid-show?" I couldn't tell if it meant audience members getting up and leaving, or if it meant performers leaving mid-show. I have experienced both, and though I hoped it meant the latter (I love live theatre stories like that - you don't get that at the movies); I knew if it was the former, I'd probably get a few laughs (bitchy stories of hating a show everyone else adores, tales of rude behavior, reactions of the house staff, etc. are always a good read...). As it turns out, the original poster meant performers, not audience members, but the thread was full of both kinds of stories. I was thoroughly entertained. So I thought that today, I'd write about my experiences with that. On my own blog, I can write what I want, and not be crucified for having an original opinion or be dismissed for "being too new to posting." How elitist! But I digress. I was sure someone would mention the more famous ones - Idina Menzel falling through a trap door at Wicked and, I think, Eden Espinoza finishing the show. Or the "big fall" at Spider-Man: Turn Off the Dark, which stopped the show completely. They were there. But I have to admit I was SHOCKED to find out that it happens so much at Wicked that fans have a name for it - "the witch switch!" As for myself, I've seen some pretty interesting switcheroos. 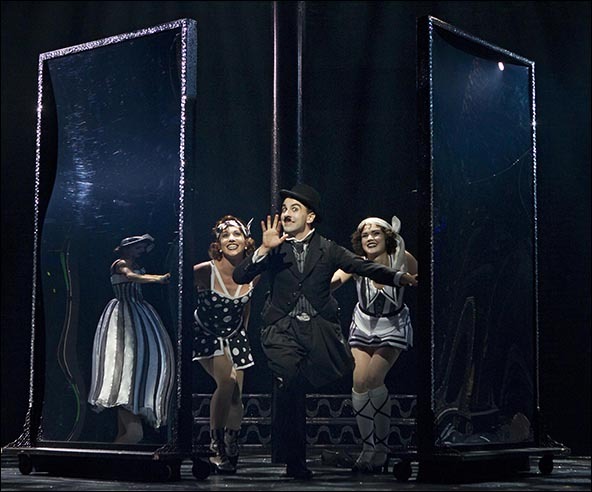 In fact, I don't think I've ever seen a performance of Cats where the entire cast that started the show was the same one at the curtain call. Dance injuries were plentiful for the felines. The third time I saw it on Broadway (don't judge me), 3 performers changed at intermission - and I don't mean a chain reaction caused by one actor leaving - 3 separate roles! The most famous Broadway injury of all was played out thousands of times in A Chorus Line, when Paul, who just poured out his heart and soul, re-injures his knee, and has to be carted off to the hospital. 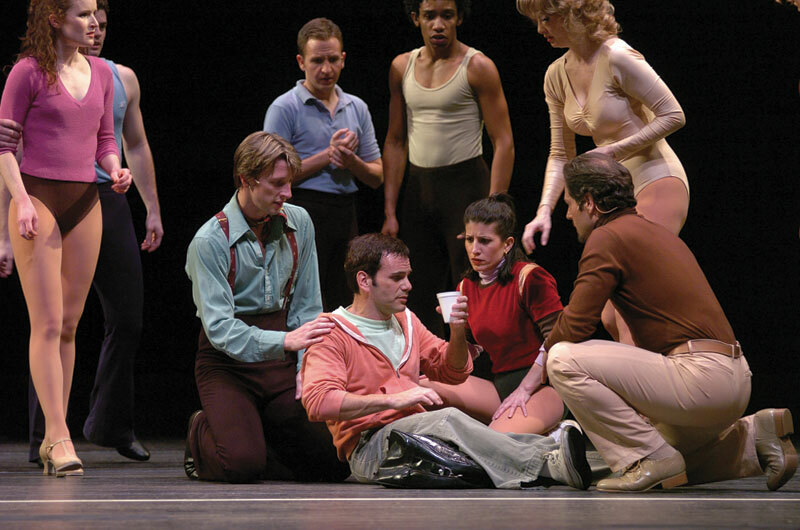 When they line up one last time, and Morales leaves a space where Paul was, I bet that hit home for many a dancer. But in the dozens of times I've seen that show, quite a few had some mid-show switches. I remember one in particular. 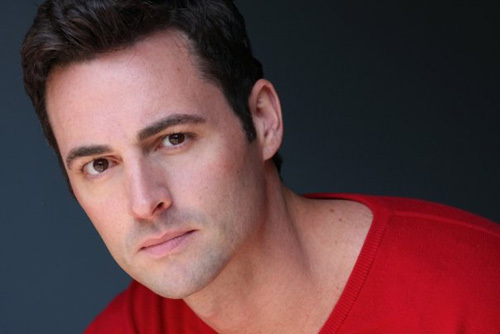 The actor playing Mike was really going full blast with "That I Can Do" when he started to do his slide across the stage and ended up getting caught on something and doing a very awkward split. He literally screamed in pain and the entire cast and audience gasped as one. 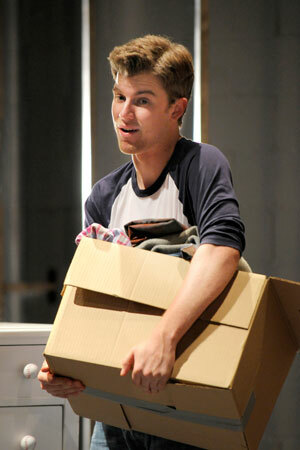 Zach ran up on the stage, and they improvised a scene to get Mike back in place and to assess the damage. The trouper finished his bit, stood there in line for what must have felt an eternity, and finally got to leave the stage during "Hello, Twelve." At the end of that number, when they all go back to the line, we in the audience, finally realized that a "new" Mike was on the line, and Mike (old and new) got a spontaneous round of applause! 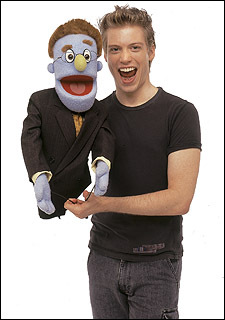 But my favorite experience with such a switch happened at Avenue Q. Not that I wish any performers ill, but I hope that if /when it happens to other performers, the transition can be a smooth and professional as what happened one day at the Golden Theatre. There I was, in the 3rd row, watching intently. I was really enjoying Barrett Foa as Princeton and Rod - he's a terrific singer and his voices were a riot. But being that close, as you probably know, allows you to sometimes see details you don't necessarily want to see. I noticed that Mr. Foa's t-shirt was gaining some pretty serious wet patches of sweat. "No big deal," I remember thinking, "they do A LOT of running around." But then, as the act continued, more and more of his shirt was darkening, and I saw that he was getting pretty pale - and he's pretty fair-skinned to begin with. It was really obvious that he wasn't feeling all that good, though I can not stress enough that his performance was top-notch, and I'm pretty sure not many people around me even noticed. 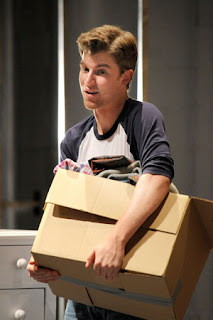 Well, we get to the scene right before "Mix Tape," and Foa, as Princeton, comes into Kate Monster's place. He gets to the line about needing to use the bathroom and exits. When Princeton came back out of "the bathroom," it wasn't with the soon-to-be NCIS:LA star. It was with Howie Michael Smith, who was just as excellent. They never missed a beat. And they never announced the change verbally, though I'm sure there was a sign posted outside in the lobby. 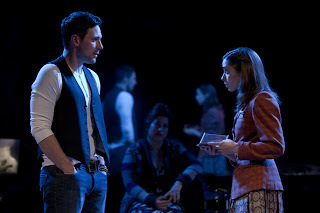 I know for sure that the majority of the audience didn't realize two actors played the same role that day since the people around me up close to the stage were oblivious to the change. Not ONE person mentioned it at intermission! Sure it was pretty slick and definitely painless (except for poor Barrett Foa) for the audience. But I have to applaud the entire company... they were the very definition of professional.